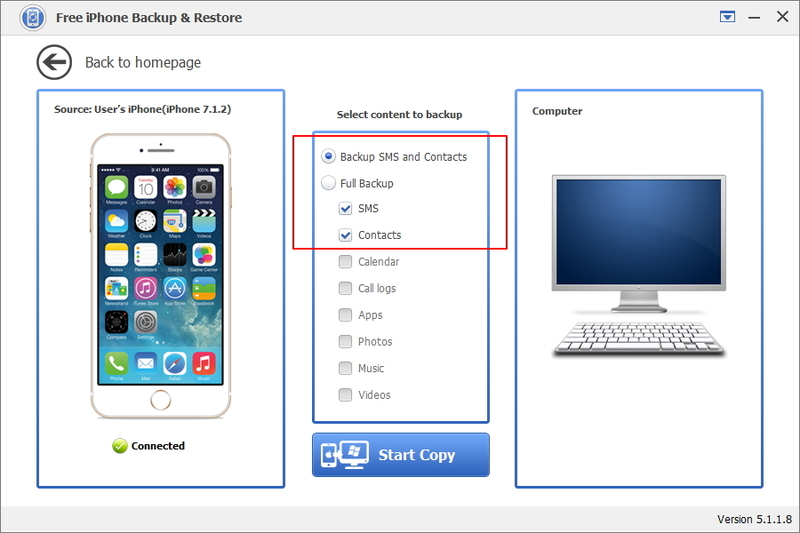 How to backup and restore data with Amazing iPhone Backup & Restore? 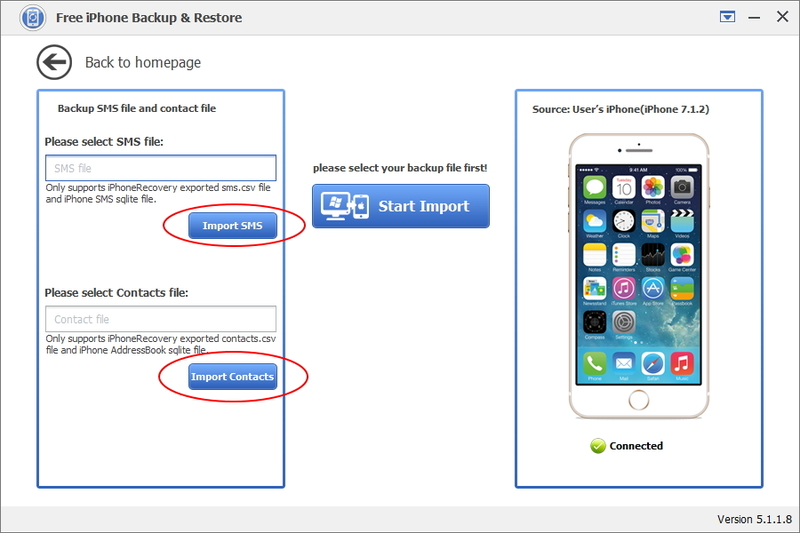 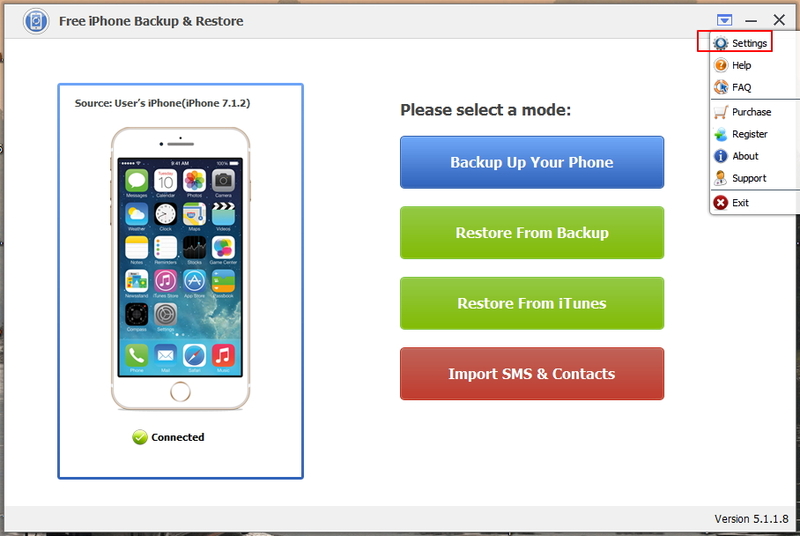 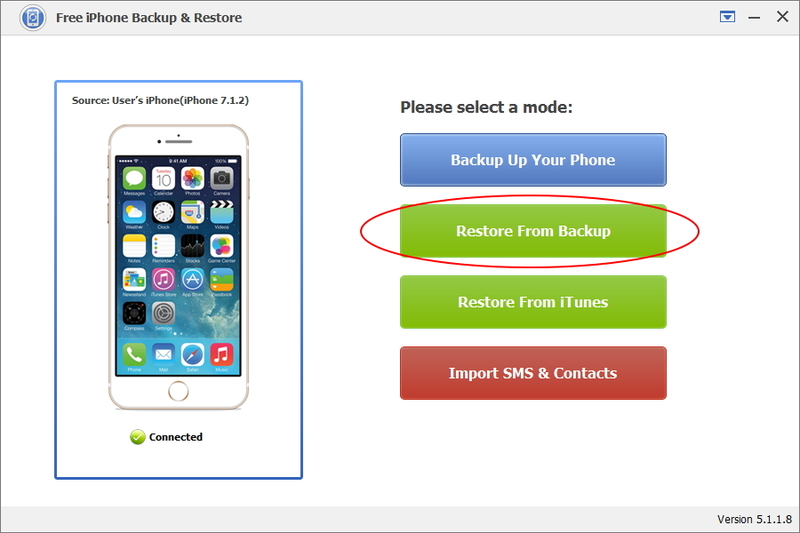 > User Guide > How to use Amazing iPhone Backup & Restore? 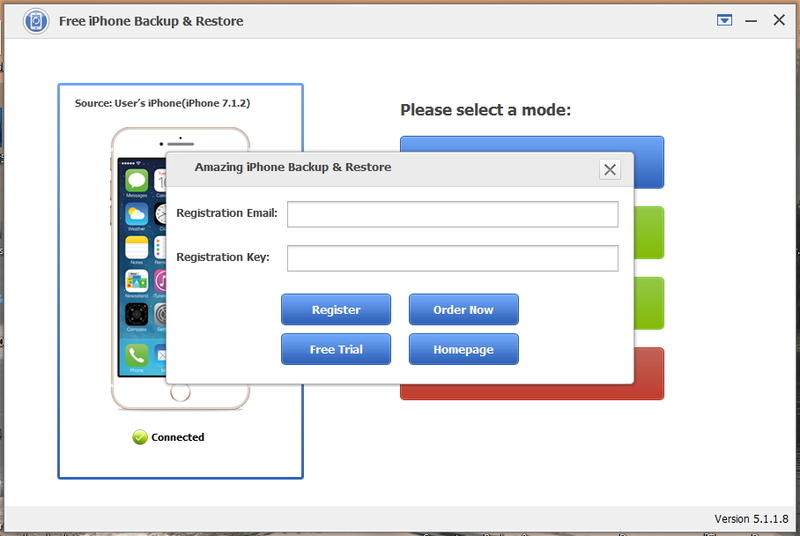 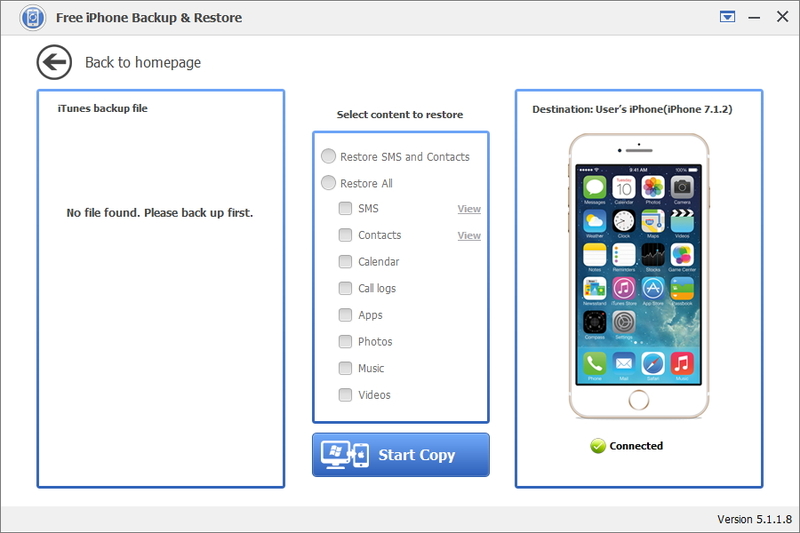 Note: Free iPhone Backup & Restore(a free version of Amazing iPhone Backup & Restore) can not be registered. 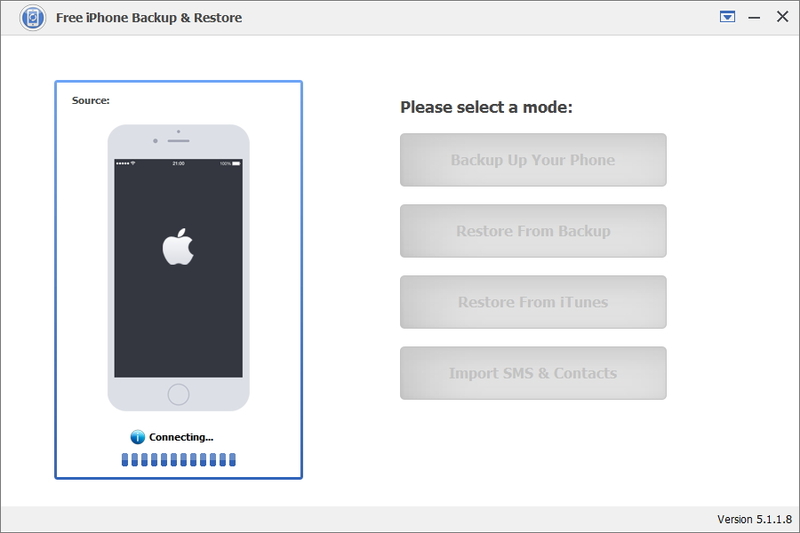 Please register the full version - Amazing iPhone Backup & Restore with the code you've purchased. 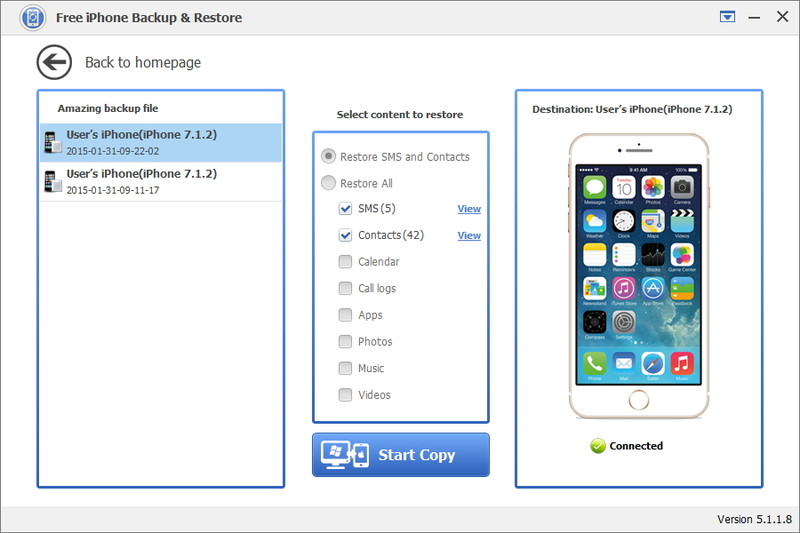 1 Install and launch Free iPhone Backup & Restore software. 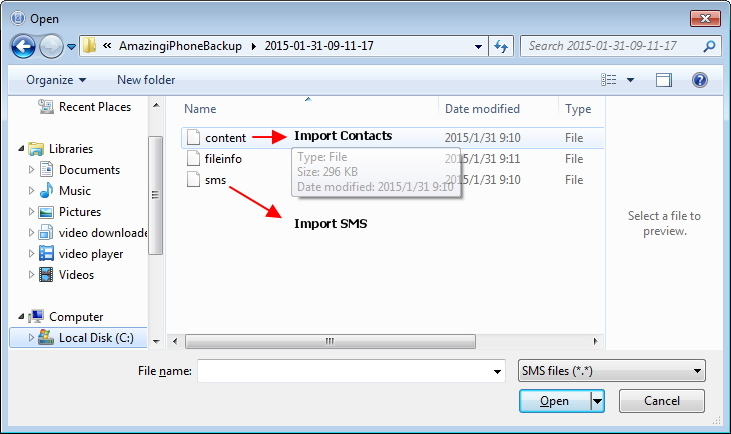 You can backup SMS and contacts only on or select full backup. 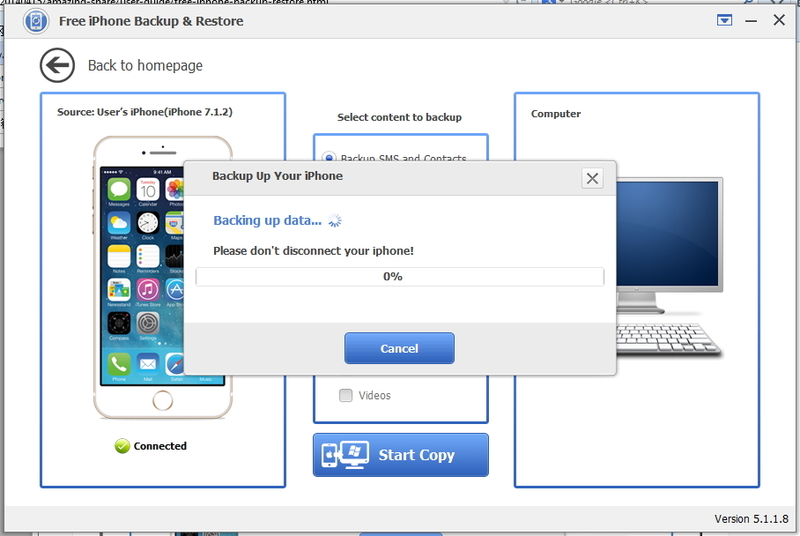 Note: Make sure your iOS device is connected to computer when restoring your iPhone from backup. 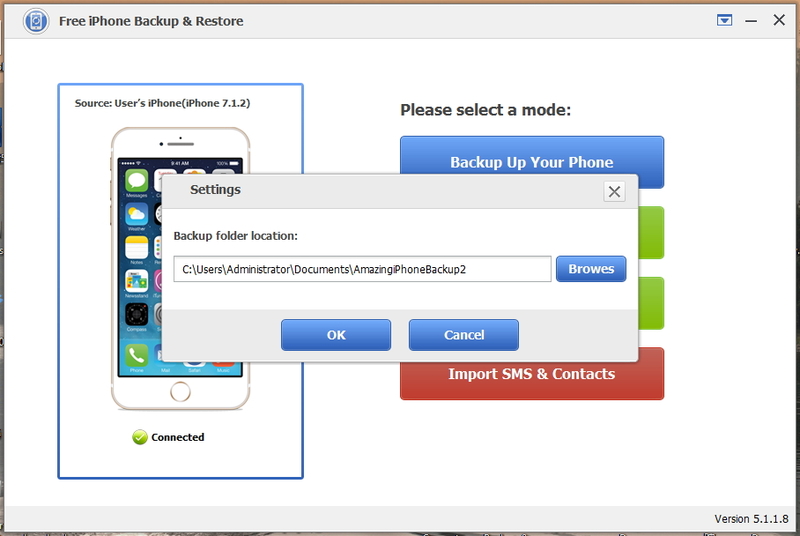 Select destination where you save the backup file. Click "Start to import" button.